Mark Weatherford is the Deputy Under Secretary for Cybersecurity for the National Protection and Programs Directorate (NPPD), a position that will allow DHS NPPD to create a safe, secure, and resilient cyberspace. Weatherford has a wealth of experience in information technology and cybersecurity at the Federal, State and private sector levels. Weatherford was previously the Vice President and Chief Security Officer of the North American Electric Reliability Corporation (NERC) where he directed the cybersecurity and critical infrastructure protection program. Before NERC, Weatherford was with the State of California where he was appointed by Governor Arnold Schwarzenegger as the state's first Chief Information Security Officer. 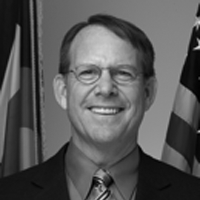 Prior to California, he served as the first Chief Information Security Officer for the State of Colorado, where he was appointed by two successive governors. Previously, as a member of the Raytheon Company, he successfully built and directed the Navy/Marine Corps Intranet Security Operations Center (SOC) in San Diego, California, and also was part of a team conducting security certification and accreditation with the U.S. Missile Defense Agency. A former U.S. Navy Cryptologic Officer, Weatherford led the U.S. Navy's Computer Network Defense operations and the Naval Computer Incident Response Team (NAVCIRT). Weatherford earned a bachelor's degree from the University of Arizona and a master's degree from the Naval Postgraduate School. He also holds the Certified Information Systems Security Professional (CISSP) and Certified Information Security Manager (CISM) certifications. He was awarded SC Magazine's prestigious "CSO of the Year" award for 2010. He was named one of the 10 Most Influential People in Government Information Security for 2012 by GovInfo Security. Weatherford is an avid runner and enters races with his wife at least monthly. He also travels frequently for pleasure.